England in major international footy final – but do you care? 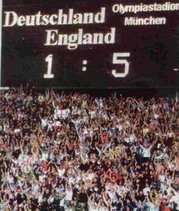 So it’s England versus our old pals Germany in the final of a major international football tournament. It really should be the only thing that anyone is talking about today. And yet the papers are dominated by Jacko, a heatwave and some Scottish bloke doing OK at Wimbledon. Sure, I care about those things, but come on media fellas, where’s your patriotic pride? I am so proud of our youngsters for progressing this far. They had a great group stage, won the semis in the first half (and then won it again on pens) but overall have played football with pride, passion and all those other clichÃ©s that sports reporters love. Yet while the nation really ought to be settling in to watch the U21 Euros final, it seems most English folk will either be watching the tennis or swanning around the local park catching the last of the day’s rays. Arsenal fans will probably disagree and cite Theo Walcott, but for me Theo is an old school, level-headed professional who gets on with his game and lets others worry about clubs, cars and dodgy threads. A dentist’s chair incident in a Malmo night club could have remedied this, but bizarrely most of the players seem to care only for football. OK, he has had the odd run in with the media, but Stuart Pearce hasn’t been anywhere near as vocal as I thought he might be. The bloke is a national treasure and if we pull it off tonight probably deserves a knighthood, yet cruelly the media seem to be ignoring him. Sure I loved the Confederations Cup – well, the hour of it I watched. I do think football fans need a break though. It is all about sharpening the appetite for the new season. 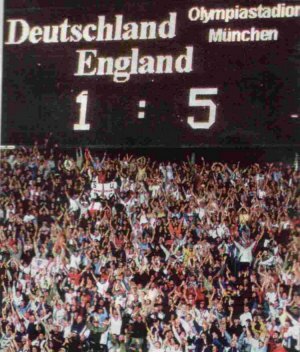 Nevertheless, let’s not forget this is an England final – against Germany in a major international tournament. Btw has anyone checked if the linesmen are Russian? Anyway what do you think? Why have Milner, Gibbs, Walcott and co’s travails been so criminally ignored?